Accreditation is a voluntary process that we take seriously. Our “full accreditation” status serves as a standard of measure to ensure quality and integrity in all Genesis educational programs and administrative processes. In addition, Genesis adheres to each State’s level of licensure, adding additional assurance of its commitment to quality in education. All Genesis campuses, except the St. Petersburg campus, are institutionally accredited by the Council on Occupational Education, a national accrediting agency recognized by the U.S. Department of Education to offer programs leading to certifications. Genesis Career College is authorized by the Alabama Department of Postsecondary Education to operate a private school pursuant to the Alabama Private School License Law. Genesis Career College is licensed to operate by the Alabama Board of Cosmetology and Barbering. Genesis Career College is licensed by the State of Georgia Nonpublic Postsecondary Education Commission, 2082 East Exchange Place, Suite 220, Tucker, GA 30084-5305. Phone: (770) 414-3300. Genesis Career College is licensed to operate by the Georgia Board of Cosmetology. 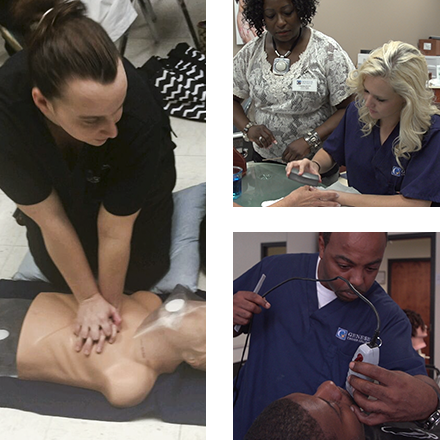 Genesis Career College is licensure to operate by the Tennessee Board of Cosmetology and Barber Examiners.